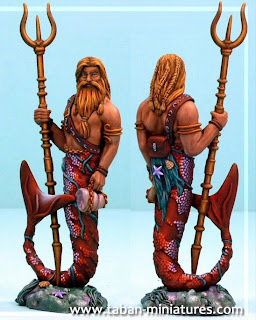 Nautica - for Warhammer fantasy battles: Needs must when the devil drives ! Needs must when the devil drives ! 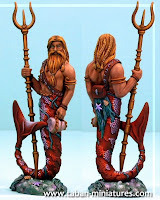 Axinous, a battle reporter forum member, found a great new mini for the King of the Seas recently. The mini didn't quite have the requisite armour so, because he's a great miniature, I've changed his description rather than try to look for a better mini. Profile stats stay the same. Also, I've added a great painted pic of a model that we're suggesting will make a good Siren. The model was kindly painted by Pascal Rooze, one of the expert painters (actually, the best painter!) on the Battle Reporter forum.